Welcome to South London Nannies. We have been finding and placing the perfect nannies for families for over five years in the South London area, including Chelsea and Fulham, Kensington, Knightsbridge, Pimlico and all surrounding areas. We pride ourselves on offering a professional but personal service, offering tailored childcare services which meet each individual families needs giving you piece of mind that your child will be receiving the best possible care from any of the nannies we place with you. We can guide you through the whole process of finding your perfect nanny, only offering the highest calibre candidates. We pride ourselves on only forwarding appropriate CV’s who we feel would fit your family perfectly. We can help with the interview process, setting up each interview and we can provide appropriate interview questions if needed. Once you feel comfortable with the nanny you have chosen, we can provide help with contracts and nanny payroll. Our screening process is very important to us, we personally interview each nanny individually and speak to their two references. All our candidates are experienced, fully checked (including an enhanced DBS check, 2 verbal references and Paediatric First Aid) and reliable, caring childcarers. Families who can afford them go through an average of three nannies while the children are young enough to need one. So find a nanny agency you trust — I use Catherine Taggart at South London Nannies. 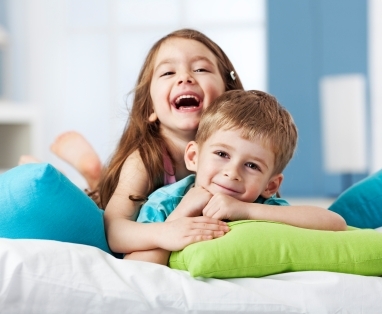 I was very impressed by South London Nannies and would have no hesitation in recommending them. We had used two other agencies for previous hires and were using two further agencies alongside South London Nannies for our most recent search and found them to be by far the best in terms of level of service and quality of candidates. I was really impressed by the service I received from South London Nannies. Catherine was confident from our first conversation that she could find me a nanny ‘within a few days’ in spite of my tricky requirement for part time care, before and after school. True to her word she sent through several relevant CV’s and I interviewed 3 nannies before finding a lovely nanny who is a great fit for our family. Catherine really worked hard to get the right solution for us and was far more responsive, helpful and determined than any other agency I spoke to. I can wholeheartedly recommend South London Nannies.